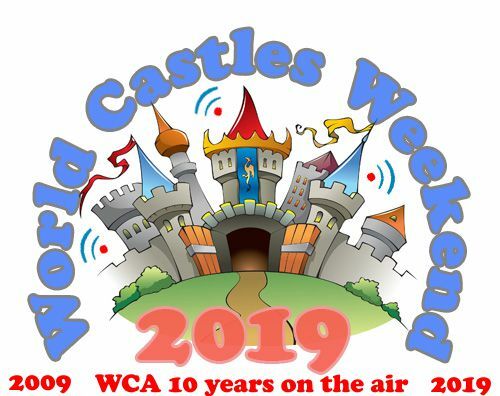 In honor of the 10th anniversary of the World Castles Award (WCA) program foundation the 10th World Castles Weekend (WCW-2019) will take place from the 8th to the 16th of June 2019. Work on the air from historical places, monuments and the architectural constructions relating to fortification to rise of interest to historical and architectural heritage as well as visiting extant historical monuments. During the World Castles Weekend there is a good possibility to fulfil a conditions of various award programs and increase your collection by beautiful QSL-cards. Radio hams of all countries and territories are invited. From the 8th to the 16th of June 2019. From 00:00 UTC of the 8th of June to 23:59 UTC of the 16th of June. All HF and VHF amateur bands. Stations working from fortresses, castles and other historical objects give report and number of object according to WCA-list . For example, 59(9) CT-01880. Other hams give only report. 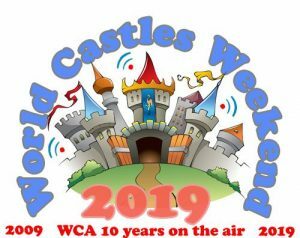 – for operators working from fortresses and castles will be issued “WCAA – World Castles Activator” Award in addition to the memorable diploma-certificate WCW-2019, e-mail request to Andrew RN1CW. 73 & 11! Meet you on the air!